With over 30 years experience in the industry, John B Carpets can offer you an unrivaled, stress free, carpet buying experience in the comfort of your own home. Our "Choose-at-home" service comes with free estimate and absolutely no obligation to buy. Enjoy the benefits of seeing your chosen carpet in its intended location before you buy. measure up and quote without obligation to buy. A huge range of carpets to suit all budgets and no hidden extras - the price quoted is the price you pay. Our "Choose-at-home" service keeps our overheads low meaning the savings can be passed on to you. 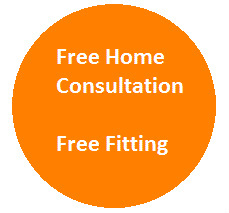 We are a small family business and provide a fully guaranteed expert fitting service.